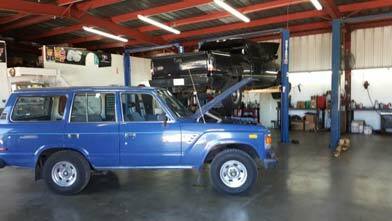 Bearden Automotive is Austin's independent Toyota repair shop, working on all Toyota, Lexus, and Scion vehicles—including the hybrids and older Land Cruisers. If the warranty on your Toyota has expired, we can handle the maintenance you used to go to the dealership for, and we're generally less expensive than the dealership for both maintenance and repairs, especially serious repairs. We can handle anything that's in your Toyota manual, but we perform work based on what your vehicle needs, not just the mileage. As a specialty shop, we can diagnose and repair Toyota vehicles much faster than a general repair shop that works on all makes. Our lead technicians have received Master certifications for Toyota, Lexus, and Scion, and combined, they have more than 40 years of experience working on Toyota vehicles. With our knowledge of Toyota mechanics and technology, it's very rare that we make a misdiagnosis, but if there's ever an issue with a repair, we'll make it right. 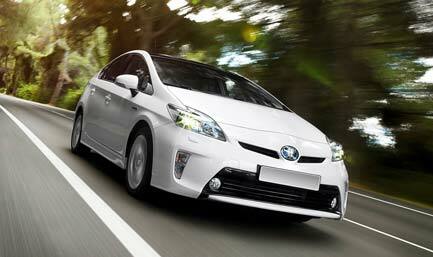 We stand by our work, and we offer a 12 month/12,000 mile warranty on O.E.M. parts. Our shop is conveniently located right off Highway 183 in Austin's McNeil-Spicewood Springs area, a few miles from McNeil High School. We're also close to Luminex, SabeRex, and Northwest Fence & Iron. In addition to Austin, our customers come from Westlake, Leander, Cedar Park, Round Rock, Pflugerville, Lakeway, Georgetown, Johnson City, and Bees Caves. We even have Toyota drivers coming from as far as Dallas and Houston. If you drive a Toyota, Lexus, or Scion in the Austin area, you'd be hard-pressed to find an auto repair shop with more Toyota experience or skill than Bearden Automotive. Give us a call to service or repair your 'Yota! If you need a ride after you drop off your vehicle or to pick up your vehicle, ask about our shuttle service.